Shoots faster and for longer - The Speedlite 600EX II-RT delivers an uncompromising performance, making it an ideal companion for the EOS-1D X Mark II. Fire up to 50% more flashes continuously, compared with the Speedlite 600EX-RT, and add the CP-E4N battery pack for an even longer bursts. 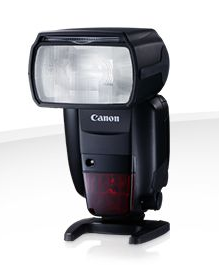 Reliable performance on-and offf-camera - An improved flash-control algorithm helps prevent overheating, and Quick Flash allows the Speedlite 600EX II-RT to fire even if a full charge hasn’t yet been achieved, so you won’t miss that unique moment. 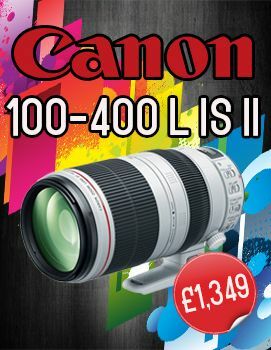 A zoom and bounce head ensures that flash coverage matches the lens in use, and allows light to be reflected from walls and ceilings for a more natural result. The Speedlite 600EX II-RT is weatherproofed to the same level as the EOS-1D X Mark II, so you can keep shooting even when conditions get tough. Creative off-camera lighting from any direction - Simulate light coming from any direction by positioning the Speedlite 600EX II-RT off-camera. Fire it from up to 30m away, using built-in radio or optical control and an optional wireless trigger, the Speedlite Transmitter ST-E3-RT. Multiple Speedlite 600EX II-RT can be used together (individually or in groups) and can be combined with other Canon flashes, like the Speedlite 430EX III-RT. Powerful performance, with guide number 60 (m, ISO100) - The Speedlite 600EX II-RT packs plenty of power, so you never be left frustrated. It’s ideal for lighting large spaces, and bouncing light from walls and ceilings for a softer, more natural result. A Bounce Adapter is included, which softens flash light even more. The unit recycles silently in as little as 3.3s, and the optional CP-E4N battery pack shortens this time even further. Easy to use, with intuitive controls and an informative display - A customisable control dial allows quick adjustments when working under pressure, while a large, illuminated display shows relevant shooting information at a glance. 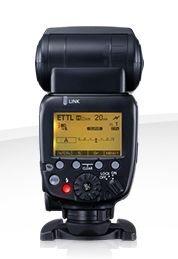 The charge status of all wireless flashes in the group is shown on the display of the master Speedlite 600EX II-RT unit.